Please help us have a successful campaign in 2018! Mecklenburg County is ready for a change in 2018 due to out of control liberal politics. Your donation helps combat the Democratic control of the city of Charlotte and maintain control in our municipalities. 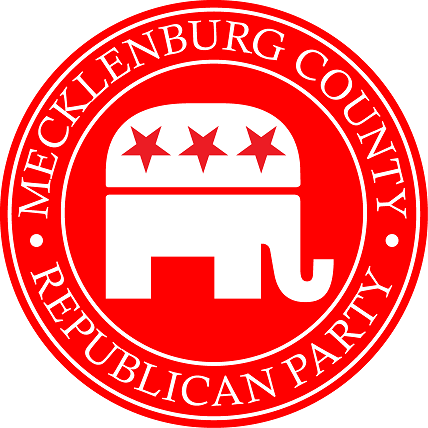 Every penny makes a difference in restoring conservative values to Mecklenburg County. (1) By making this contribution, I affirm that I am a United States citizen or permanent resident alien, that I am at least 18 years of age, that I am not a lobbyist registered in North Carolina, that I am not a federal contractor, and that I am making this contribution from my own personal funds and that these funds are not being provided to me by another person or entity for the purposes of making this contribution. (2) This contribution is not made from the general treasury funds of a corporation, labor organization or national bank. North Carolina law requires political committees to report the name, mailing address, job (or profession), and the name of the employer or employers' specific field for each contribution for individuals whose aggregate contributions exceed $50 in an election cycle. It is unlawful for any corporation, business entity, labor union, professional association, or insurance company to directly or indirectly contribute to any political party committee. Political committees not registered with North Carolina are also prohibited from contributing to political party committees. Registered referendum committees that received any contribution from a corporation, labor union, insurance company, business entity, or professional association may not contribute to a political party committee. This Donation is NOT tax deductible. Paid for by Mecklenburg County Republican Executive Committee.